October 5 is an occasion to learn about and advocate for HIV cure research. World AIDS Day has long since designated December 1 as a globally recognized occasion to advocate for progress in the fight against the disease. There’s also HIV Vaccine Awareness Day in May, HIV Testing Day in June and a host of days to highlight specific risk groups: African-Americans, Latinos, gay men and so on. 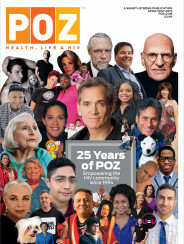 Organizers at the AIDS Policy Project, a national advocacy group based in Philadelphia, felt that one vital element of the conversation still needed its own moment in the spotlight: the quest for an HIV cure. So they have tapped October 5 as the first annual “AIDS Cure Day.” With a goal of far-reaching political mobilzation in mind, the agency is organizing participants across the country and around the globe to help them spread the word about where we are in the complex effort to outfox the virus and what is in store in the long and winding road ahead. AIDS Policy Project is encouraging anyone who wants to participate in the day to use the resources the agency has on hand into order to educate themselves about the search for an HIV cure. The next step is to pass along this knowledge through informal, grassroots “teach-ins” on or around October 5—speaking to friends, coworkers, church members, neighbors and the like. On the big day, the organization will host a livestream teach-in on its website; it will also have hotline volunteers available in order to answer any questions, as well as a cadre of esteemed researchers on hand to help delve into the nitty-gritties of memory CD4 cells and CCR5-Δ32 gene mutations. Recent headlines have stirred unprecedented excitement about the possibility for a widespread cure. In the spring came news about the child in Mississippi who was functionally cured after receiving an atypically aggressive antiretroviral regimen shortly after birth. Then there was the French “Visconti Cohort,” in which 14 adults achieved viral clearance thanks to beginning ARV treatment within weeks of infection. Both of these examples have joined that of Timothy Brown, an American who is more widely known as the Berlin Patient, who became the first person functionally cured of HIV after receiving transplants of HIV-resistant stem cells to treat his leukemia. And yet, Kate Krauss, the executive director of AIDS Policy Project, has found that many are still in the dark about these promising scientific milestones and what they signify for the future. She says the cure day gives a chance to broadcast research news to those who are out of the loop—especially those who don’t live in urban areas—in order to inspire new, highly-educated activists in the fight for cure research. “Even in the medical community, this isn’t yet an issue that’s on people’s radar,” Krauss says. So her team has partnered with the American Medical Students’ Association, asking chapters to do teach-ins with budding physicians. In addition, AIDS Policy Project has arranged for doctors and researchers to conduct webinars open to the public. He says that part of the reason for the forum is to manage the public’s expectations about the possibility for a cure. In contrast to those who are in the dark, many people’s impressions have become inflated by the hype over the Mississippi baby. Also, in the spring an erroneous British news report led many to believe that Danish researchers were months from landing on a cure. According to Warner Greene, MD, PhD, director of the virology and immunology research at the Gladstone Institutes in San Francisco, who is speaking at the San Francisco event, HIV cure research is currently in an “exploratory phase.” Scientists are turning over stones, he says, in order to better understand how HIV persists in the body despite effective antiretroviral treatment. According to Steven G. Deeks, MD, a professor of medicine at UCSF who is heading up one of the three NIH-funded research collaboratories, scientists in the cure field have come to recognize over the past several months that there is likely a very stable HIV reservoir of what are known as memory stem CD4 cells and central memory CD4s, which both have the ability to replenish themselves. Meanwhile, ordinary CD4s, when activated, are HIV’s preferred target, and they live for only about a day. Because of memory CD4 cells’ enduring nature, efforts to wait for them to die during ongoing therapy may fall flat. Deeks says he also believes the memory cells’ existence complicates what is known as “shock and kill”: attempts to purge the reservoir with agents that wake up cells from their resting state and then kill them off. The NIH-funded research, which is dubbed the Martin Delaney Collaboratory, in honor of the revered AIDS activist who died of liver cancer in 2009, is providing a unique public-private cooperation in which three teams of researchers are each tackling HIV cure research in different and complementary ways. The Fred Hutchinson Cancer Research Center in Seattle is partnering with the biotech company Sangamo BioSciences in Richmond, California, to build on the findings of Timothy Brown’s case in order to investigate potential gene therapies. They are researching proteins that attack the viral reservoir and are developing strategies in which they remove blood cells from people with HIV, splice in genetic code instructing the cells to resist the virus, and then re-infuse the cells into the body. On September 12, Sangamo announced promising data from an ongoing Phase II trial of a genetic therapy in which blood cells drawn from people with HIV were engineered to knock out a gene that controls expression of the CD4 cells’ CCR5 receptor, which HIV latches onto in order to begin its attack. After stopping their ARVs, three out seven study participants achieved an undetectable viral load, although only one of them sustained control of the virus. The second collaboratory is headed up through a partnership between the University of North Carolina at Chapel Hill and Merck Research Laboratories. They are trying to develop tests to measure the effects of HIV eradication therapies, and are also investigating small-molecule drugs and other agents that would successfully induce the latent reservoir. More recently, they have begun to search for a way to kill the cells that are then visible to the immune system. Finally, UCSF and the Vaccine & Gene Therapy Institute of Florida in Port St. Lucie, along with Merck, are looking to identify and understand the nature of the cells that make up the HIV reservoir. By gaining a better concept of how reservoirs are established and maintained, they hope to find agents that will flush and eliminate the reservoir without dangerously activating the immune system. Mike McCune, MD, PhD, a professor of medicine at UCSF who is leading the university’s NIH-sponsored collaboratory effort with Deeks and Rafick Sékaly, PhD, who is in Florida, says that his group is honing its sights on the interplay between HIV and inflammation. Inflammation is associated with cell division, and HIV is inclined to grow in cells that are dividing. Furthermore, HIV spreads from one cell to another most efficiently through cell-to-cell contact, and inflammation encourages cells to move from one place to another. The cycle is self-reinforcing because the presence of HIV causes inflammation. Deeks, Sékaly and McCune’s collaboratory is looking to interrupt the loop. They believe this interruption would help not only fight the reservoir, but also reduce the incidence of conditions like cancer and dementia that are influenced by ongoing inflammation. A major obstacle for any disease treatment research, but in particular for those conditions that affect large numbers of people in poor nations, is the need to come up with financially scalable solutions. “We don’t want to create a strategy that’s only available to a few rich people in the United States,” Greene says. According to McCune, a globally viable cure “will have to be something that is safe, non-toxic, orally available, something that withstands heat and cold, and something which is efficacious.” Such necessities, he says, likely spell an uncertain future for complex and expensive gene therapies. Sheehy, the organizer of the San Francisco symposium, was diagnosed with HIV in 1997 and is 56 years old. 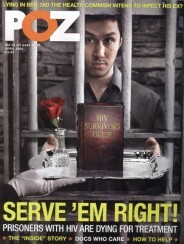 He considers his advocacy work in the HIV cure field as a way of passing on a legacy of hope to the next generation of people living with the virus. McCune reports enthusiasm for cure research in tomorrow’s leading scientists as well. On yet another front, Sheehy believes that maintaining enthusiasm for a cure is important in order to foster the sort of altruism that will help motivate people with HIV to enter cure studies. These participants may reap no personal benefit from their involvement in such studies, but their vital participation will hopefully help inch forward scientific progress so that others may one day rid themselves of the virus. For more information about the cure day, click here.